Next week’s All is Lost Blu-ray and DVD release looks as if it was timed to coincide with awards season, hitting homes after the film recently earned a Golden Globe for Best Original Score. J.C. Chandor’s second film offers a look at a man dealing with a slow shipwreck out at sea, and we have an exclusive feature from the Blu-ray release looking at how Chandor was able to bring the film to life on the big screen. The short segment takes a look at many of the film’s most important moments through its storyboards, a perspective fans do not often get to see, but works perfectly for a movie that mostly relies on imagery rather than dialogue. Chandor gets pretty candid about the setup of the film, which tells a story about a boat which begins to leak after an encounter with a shipping crate at sea. It’s not long before the elements begin to wear at the sailor’s ability to survive in a manner that plays out with surprising tension. During the segment, Chandor speaks while viewers are shown a variety of storyboards, explaining they are often used for the most complicated sequences in many movies. In the case of All is Lost, however, he worked with storyboard artist Adrian Hashimi to map out a complex film shot in the water and featuring only one main character, played by Robert Redford. That sort of narrative took careful planning to execute properly, and it’s interesting to see how the product went from the page to the screen. The featurette is called "Preparing for the Storm," and is one of a slew of bonus features that are available as bonus features with All is Lost’s Blu-ray release. Other segments focus on Chandor, Redford, and the story itself. In addition, Lionsgate Home Entertainment’s upcoming release offers audio commentary and a slew of segments looking at VFX and more. Simply put, if you liked Chandor’s latest, you’ll find plenty of extra stuff to peruse on the disc. 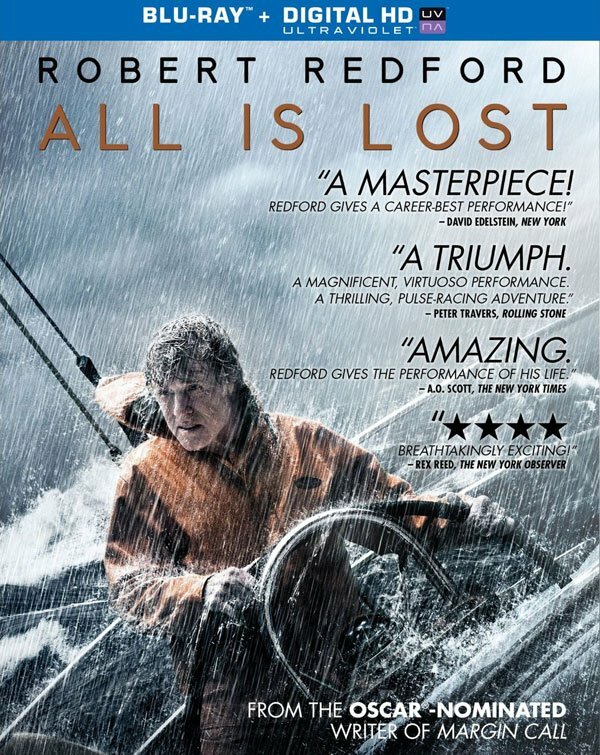 All is Lost will debut on Blu-ray, DVD, and Digital HD on February 11. You can check out the full list of extras, below, or pre-order the film over at Amazon.